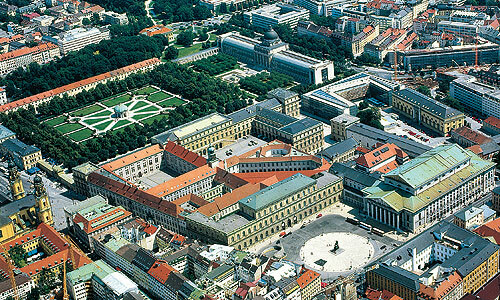 Mascagni: "Intermezzo" from "Cavalleria rusticana"
The Munich Residence served as the seat of government and residence of the Bavarian dukes, electors and kings from 1508 to 1918. What began in 1385 as a castle in the north-eastern corner of the city (the Neuveste, or new citadel), was transformed by the rulers over the centuries into a magnificent palace, its buildings and gardens extending further and further into the town. 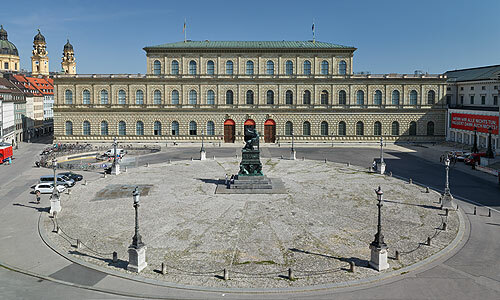 The rooms and art collections spanning a period that begins with the Renaissance, and extends via the early Baroque and Rococo epochs to Neoclassicism, bear witness to the discriminating taste and the political ambition of the Wittelsbach dynasty.